Work With Me — Hello Freedom! I absolutely LOVE helping budding business owners take those first few steps towards starting a successful business! Like to meet me and see if I can help you get off to a smart start? Why not book a free, 100% confidential one-on-one 20 minute Skype call? During our call we'll chat about your idea and what you're looking to achieve. 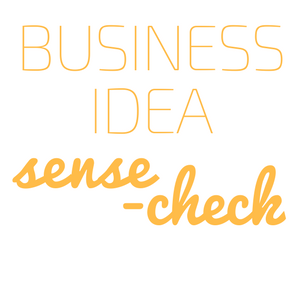 I will give you some initial thoughts and ideas and also explain how the Business Idea Sense-Check (and other services) can help. There’s absolutely no obligation or pressure to book anything during or after the call. Have you got a business idea that's got you really excited? Would you like to run it by someone who can help you decide if it's really a "go-er" before you go any further? Then the Hello Freedom Business Idea Sense-Check may be perfect for you! The strength of your business idea. Whether your idea is likely to help you achieve what you're aiming for - e.g. a certain lifestyle, income, the ability to focus on what you're truly passionate about, the ability to make a difference etc. Things you can do to make your idea even stronger and more likely to succeed. Things you need to consider during the planning phase to have best chance of success and to avoid some of the common start-up mistakes. Depending on how you are feeling after the initial consultation, you may be ready to 'push go' or you might decide to have a follow-up consultation or two to help refine your idea further until you feel 100% confident to move ahead. What if you decide not to go any further? That's absolutely fine! This is actually a pretty common outcome and one that's very valuable as it may help you avoid wasting a lot of time, energy or money (or all three!) pursuing an idea that's not quite right. It's so much less stressful (and less costly) to scrap an idea early on than try to keep a failing business afloat down the track. Plus, the session will still give you valuable learnings and 'food for thought' that will be helpful when considering future business ideas. Your first idea is not always the best one, but ideas definitely get better the more practice you have! Already have a side-project that you'd love to turn into a fully fledged business? Wow, that's super impressive! In your case, if your business has already proven to be quite successful on a smaller scale, then the session can focus on looking at ways to refine & polish your business idea and strategy to make sure your foundations are strong before you get cracking on creating your business launch plan and go full steam ahead with scaling up. Prices include 10% GST for Australian-based clients. Not in Australia? Find out approximately how much this is in your currency. The questionnaire will be emailed to you 7 days (1 week) prior to your scheduled appointment time. You must complete and return it at least 2 business days before your scheduled appointment to allow time for it to be reviewed before we meet. Please ensure you have access to Skype before making a booking and add 'Hello Freedom' (contact@hellofreedom.com.au) to your Skype contacts at least 24 hours prior to your scheduled appointment. Consultations are available Monday-Thursday between 8am-2:30pm. There are also a few (limited), appointment times on Monday, Wednesday and Thursday evenings at 7:30pm. All times listed are Eastern Standard Time (EST) for Brisbane, Queensland, Australia. Want to know how this converts to your time zone? Check out this useful site. Both Business Idea Sense Check consultations (Initial and Follow-Up) have a 1 month expiry date, meaning the consultation must be completed within 1 month of the purchase date. Once the expiry date has passed, services are considered completed and no further services will be provided with respect to the purchase. Please read the Hello Freedom Terms & Conditions BEFORE you book (don't worry, it's all in plain speak!). It includes our policies for Cancellation & Refunds, Appointment Changes, Service Delivery, Confidentiality and Intellectual Property Protection. All Hello Freedom services that are purchased are subject to these Terms and Conditions. This link will take you to the Hello Freedom booking calendar where you can book in a free pre-consultation chat. The chat is free (up to 20 mins of George's time) and is designed so that you can make sure this service is right for you and for you to ask any questions. During the call we will schedule your Initial Consultation. After the call, you will be emailed a link to your pre-consultation questionnaire and emailed an invoice. The invoice must be paid in full 7 days prior to your Initial Consultation. If you're based in Australia, your invoice will state and include 10% GST. Invoices are in AUD. The Hello Freedom Business Plan Builder is the perfect next step to take once you've completed the Business Idea Sense-Check and are ready to get on your way! 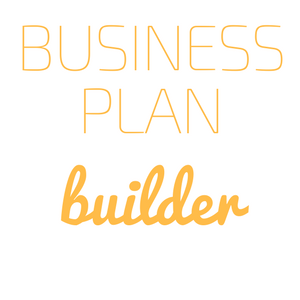 The Business Plan Builder is a cost effective way to create a simple, yet robust, business plan (a must for any business in the start-up phase) that can help set you up for success from the beginning. The process is fun, informative and helps you to create strong foundations on which to build your business. We look at the really important parts of your business before you start - including your target clients/ customers, branding, pricing, marketing, sales channels, launch budget & timeline and more. Once completed, you will have in your hot little hands a simple, yet robust, business plan that will help guide you through your launch and beyond so you can get cracking with confidence! 1 x 30 minute one-on-one briefing session on Skype. The easy-to-follow Hello Freedom Business Plan Builder Workbook and Business Plan Summary Template. 1 x 1.5 hour one-on-one Business Plan Review session over Skype to refine your draft Business Plan Summary. Please note I will review your draft before we meet so we can spend the time discussing and polishing. The majority of clients feel very confident in their plan after the Business Plan Review Session, however we do offer additional follow-up sessions (see below for pricing) if further help is required after this session. The Business Plan Builder can only be booked by clients who have completed the Hello Freedom Business Idea Sense-Check. Prices include 10% GST for Australian-based clients. Hello Freedom Business Plan Builder: 3 month expiry. The Business Plan Review Session must be completed within 3 months of the purchase date. Additional Follow-Up Session: 1 month expiry. The session must be completed within 1 month of the purchase date. Once you're ready to put your plan into action, it's nice to know that you don't have to do it all completely on your own. Help is still at hand if you need it. The Hello Freedom Launch Support Package is designed to help you through the launch process. Through regular catch-ups, George can answer any questions you have, offer feedback and guidance, help you to stay on track and keep motivated, and generally be there to make the launch process a little smoother for you. PLUS access to George via email for questions or queries that pop up in between sessions. Emails are answered within a maximum of 2 business days, but usually sooner! Subject to Hello Freedom Email Support Reasonable Use Policy (see Service Agreement). The Launch Support Package can only be booked by clients who have completed the Hello Freedom Business Plan Builder. 3 Month Launch Support Package: 4 months after purchase date or 3 months after the date of the first consultation in the package, whichever is earlier. All prices are in Australian Dollars (AUD) and include GST for Australian-based clients.